The B-type bus we are restoring, B2737, is turning 100! Introduced into service in January 1914, B2737 originally worked out of Mortlake garage in south west London and plied its trade on route 9 before being requisitioned by the War Department. Although Mortlake garage no longer exists, route 9 is still flourishing. Today it is worked by the New Bus for London as well as a small fleet of heritage Routemasters in the central London area. The early 20th century was an exciting period, with new technological developments revolutionising how we travelled and the way we lived. 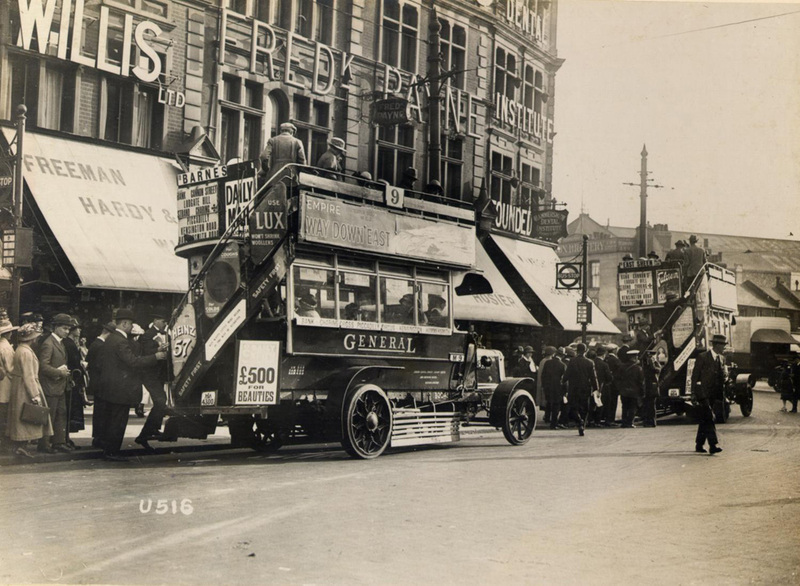 Whilst the B-type bus was London’s first mass produced standardised motor bus, a number of other transport developments took place the same year it was built. The world’s first electric traffic light was introduced (Ohio, USA). Whilst in the air, the first scheduled commercial flight took place (St Petersburg to Tampa, USA). Although now a ubiquitous sight, the first road cone was invented by Charles P Rudebaker in 1914. Recently our project engineer, Richard Peskett, also celebrated his birthday (not another centennial, I hasten to add!). He received a wonderful B-type themed birthday cake and it seems fitting to also dedicate it to our bus. Happy birthday B2737! Previous PostThe Kitemark on our B-type busNext PostGoodbye Tube150, Hello Year of the Bus!